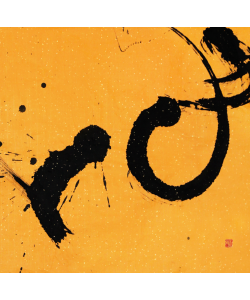 Hsu, Yung Chin, who is a calligrapher writes with all his soul, creates the free, essential and eternal purity of contemporary calligraphy. 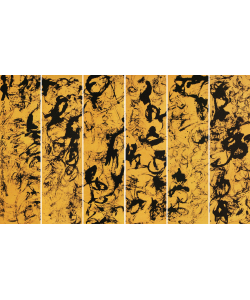 Artist Hsu Yung Chin has been dedicated to calligraphy and ink painting for nearly five decades. 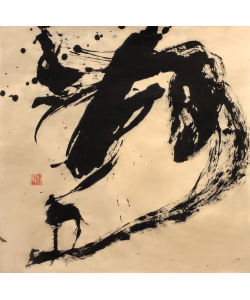 However, in the past five years, Hsu has integrated his lifelong Zen practice into his art, creating a more visceral and contemporary aesthetic that shows the evolution of calligraphy and ink painting. 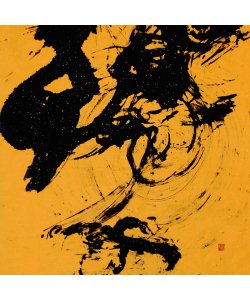 Indeed, Hsu’s solo exhibitions in Germany, Italy, Japan, Singapore and Hong Kong have all received high praise. 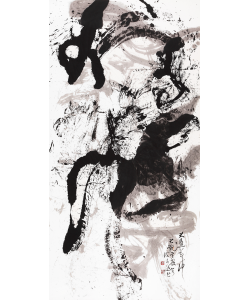 Hsu’s contemporary calligraphy is filled with the feeling of Zen in that it pursues a deep inward experience of the present in order to transcend the contents and confusion of human life. 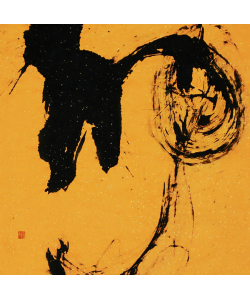 Having moved beyond a conscious and rational process, Hsu’s work now flows from emptiness and the unconscious, allowing him to compose without restraint and capture the essence of life with shapeless form. 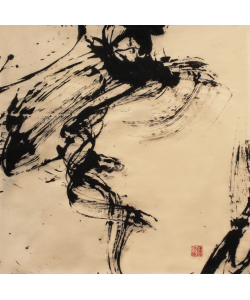 Hsu’s extensive background in traditional Chinese calligraphy and ink painting allows him to seamlessly merge it with elements of Western abstract expressionism. 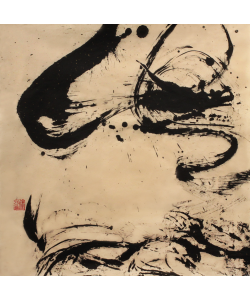 This has created a unique and arresting style of contemporary Chinese art. 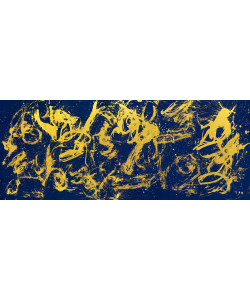 Not only has his artwork showed great vitality, incredible natural rhythm, magnificent pattern, and revelation of the spirit, it also evokes a deeply personal feeling in the viewer. 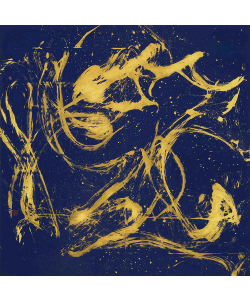 Hsu Yung Chin’s solo exhibition, An Infinite Progression,will be presenting the Wordlessseries and the Mindlessseries. 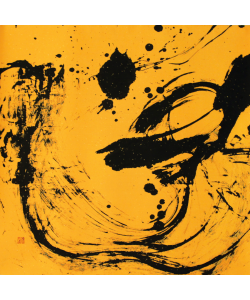 Each of these is a reinvention of Hsu’s visceral artistic aesthetic. The exhibition is very proud to present Hsu’s newest acrylic paintings. 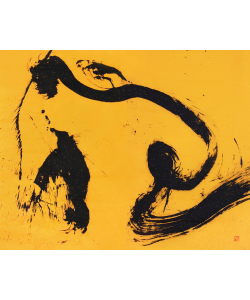 These paintings initially appear abstract, but beneath the surface lies the deep foundations of traditional Chinese landscape painting. Within the works the viewer discovers a remote and secluded serenity that seems to appear from out of eternity itself, its miraculous brightness penetrating endless space and chaos. These abstract paintings show the true beauty of nature while reflecting the possibility of tranquility and harmony between human beings, nature, and the universe. 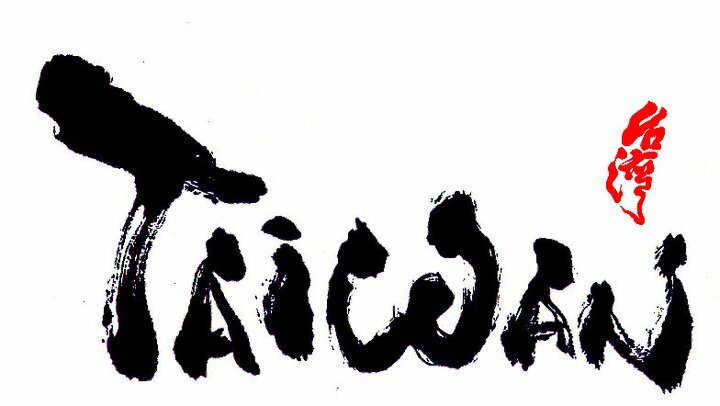 Hsu said, “To write calligraphy is to relax. Release the tension in your body, your brain and your mind. Whereas to settle your mind is the deepest relaxation, the whole being and the whole universe will guide your hand to write.” Decades of Zen and artistic exploration has allowed Hsu to enter this empty state of ease. What has been produced is a reflection of something truly greater than itself. 大盈若沖 True fullness seems empty,yet it is fully present.